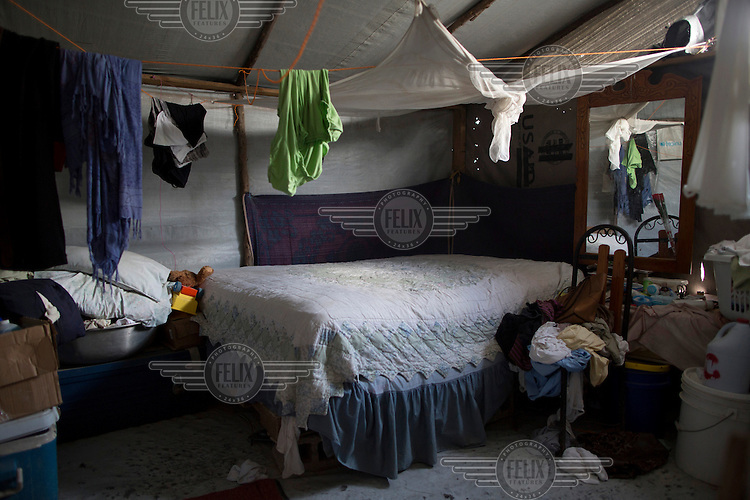 Detail relating to Estefa Guerda, 35, displaced by the earthquake in Haiti in 2010, Port-au-Prince, Haiti..."This is my room. We took the bed from our house but it was very difficult because we couldn't find a vehicle to take the bed. We didn't have any money and the roads were blocked."